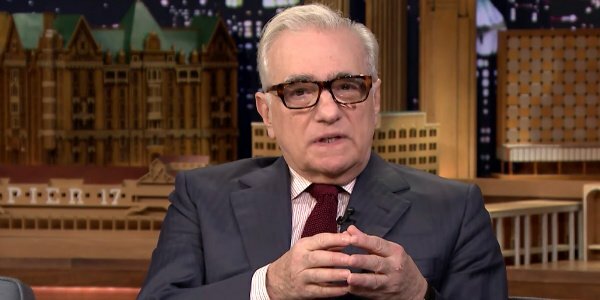 You would think that when Martin Scorsese wants to make a mobster movie, studios would be lining up to throw money at him. You’d think that when that movie is going to star Robert De Niro, somebody would back a dump truck full of cash up to his doorstep and just start dumping it out on his porch. Yet, the (finally!) Academy Award-winning director has been trying to make The Irishman since 2010 and the concept has languished in development hell. However, a deal has finally been struck that will bring The Irishman to the screen, and this one could turn out to be Scorsese’s biggest movie ever. While The Irishman has been something that Martin Scorsese and Robert De Niro have been trying to make happen for six years, it has been a high enough priority that the they’ve never let the idea die. As recently as eight months ago, De Niro told Jimmy Fallon that he thought the movie would happen eventually. Now, The Hollywood Reporter says that STX Entertainment successfully won the foreign distribution rights for the film, something that reportedly happened poolside during the Cannes Film Festival, because this is Hollywood and that’s how they roll. If studios are vying for distribution rights, it’s a sure sign the project is moving forward. While The Irishman still has two of the three big names that have been attached from the beginning, Robert De Niro and Al Pacino, the third member of the trifecta, Joe Pesci, has reportedly declined a part in the film. Getting these three big names into one film was one of the big draws that helped keep the idea alive for so long. Pesci has essentially retired from acting, having only been a part of three films since 2000. While sources are claiming Pesci has turned the role down more than once, they’re also reporting that Martin Scorsese still thinks he can convince the Goodfellas star to do the picture. The Irishman is based on the novel I Hear You Paint Houses, a phrase which is apparently mobster code for "I would like to hire you to murder somebody for me." It tells the story of Teamster Frank Sheeran who claims to have been responsible for the death of Jimmy Hoffa, as well as having played a role in the assassination of John F. Kennedy. Even if Joe Pesci can’t be convinced to join the project, with Martin Scorsese, Robert De Niro, and Al Pacino all involved, The Irishman still look like it has the talent required to be one of the greatest mobster pictures of all time. How badly do you want to see this movie finally get made? The correct answer is: a lot.